The US military gives fantastic education benefits for people who have signed their life on the dotted line to serve this nation. How much does the military pay for college? That’s a common question for people considering the military and their potential dependents. The amount varies and has differences with the different types of GI Bills. There are two types of GI Bills for the service members. One is called the Montgomery GI Bill and the other is called the Post-9/11 GI Bill. The Montgomery GI Bill gives more than $69,000 in cash and support for students. The max per month is $1,928. The rate per month adjusts for inflation each October. The current payment rate is what you get regardless of when you began using the Bill. You will have 8 semesters of education benefits. All of this is based on the military member making their contributions each month during their first year in the military. The Post-9/11 GI Bill gives education benefits to anyone who has served 90 days on active duty on Sept 11, 2001 and after. The payment rate per month varies based on how much time the active duty member served. The Post-9/11 GI Bill is preferred because of the 100% tuition and fee coverage. 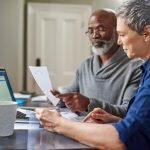 You even get a monthly housing allowance and the ability to transfer your benefits to your family members. While active duty you even get tuition assistance. 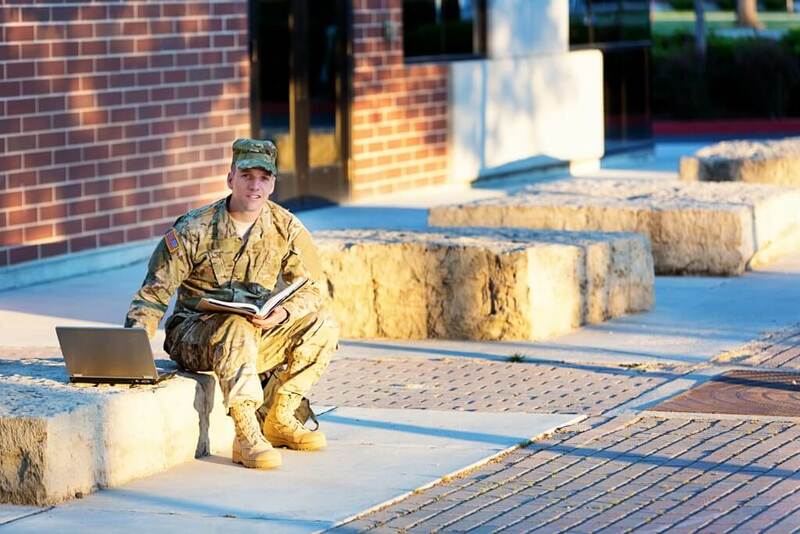 Tuition assistance is covered while a member is on active duty. It is for those who want to get their education while they’re in to save them time once the separate from the military. In higher ranks for the enlisted, they now need an associate’s degree to compete for the promotion. Tuition assistance is the active duty member having part or all of their tuition funded while they attend school. The benefit here is that it doesn’t tap into their GI Bill. After separation, there must be an honorable discharge in order for the GI Bill to be used. This sounds good to people from outside of the military but with the way the government works; it’s not always the right decision. The military is very strict and people can get in trouble even for doing the right thing if a supervisor doesn’t feel it is in regulation. One Letter of Counseling can ruin someone’s career even though it is base level disciplinary action. If there is a force reduction some members who have such a simple disciplinary action can be forced out under a General Discharge (under honorable conditions), which is the “second best” discharge, and that individual will lose the GI Bill. Do you need to go to a brick and mortar school or can you go to school online? Well, that is a good question, but the short answer is both. Some people find that online schooling is more out of touch and is easier to be lazy because you don’t have to go anywhere. Brick and mortar is certainly more time consuming, but either way it’s covered by the GI Bill. While enlisted, a lot of people go to school online because they have a very demanding job. This option is all about preference. If the Post-9/11 GI Bill is being used, brick and mortar is the way to go because the housing allowance is part of the benefit package. This one is dealers choice, but brick and mortar is much more fun because of the housing allowance. Once you initiate the GI Bill benefits, you can’t stop it. The GI Bill is 36 consecutive months of academic benefits. This is bad news for the fickle because once they get out and start their academic benefits, they have to make a decision and stick to it because they don’t have the time to change things up every couple months unless. Certifications and trade schools are popular choices for people who don’t know what they want to do. They are more useful anyway with college slowly becoming just a waste of time. With the Post-9/11 GI Bill there is no reason to waste it. There is the option to pass the GI Bill to a family member. Passing it to spouses or kids is a popular option. A lot of individuals choose to divvy it up and pass it along to multiple of their dependents. It would make sense to split it up between kids because that saves a great bit of money on funding their college in the future. The option to pass it down may be difficult because if 100% has to pass down to one person, it’s difficult to make the decision. There is always infighting over things like this. The decision about cashing in on the GI Bill is about the service member. There is no reason for this to be a stressful decision. When someone leaves the military they deserve the education benefits they have earned. This is about what will be good for the soldier’s future. A lot of skills that individuals pick up in the military will get them to exactly where they want to be. Carpentry, welding, machining, and plumbing are just a few of the skills people can learn in the military. How Much Does The Military Pay For School? The military pays as much as they can. The guidelines are set so the military and government doesn’t keep bleeding money for people to go to school for years and years and not put that knowledge to use. The set amount will go up eventually because of inflation and the ever-rising cost of college tuition. The benefits in education are one of the biggest bonuses for signing on with the military. When the benefits end hopefully the soldier has taken full advantage and not wasted them. Once it’s wasted it doesn’t come back.